Daniel C. Lockridge is Board Certified in Pediatrics. Dr. Lockridge was born in Gadsden, Alabama. He received his Bachelor of Science degree in Biology at UAB and his Medical Degree from the University of South Alabama College of Medicine. He completed his Pediatric Residency at the University of Tennessee College of Medicine in Chattanooga. 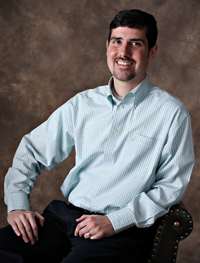 Dr. Lockridge has been in practice at Gadsden Pediatric Clinic since 2007. He and his wife Erin, have a son and a daughter. He enjoys playing the piano, church music, reading and spending time with his family. He is a member of Rainbow City Church of God. August 2007 – Present, Gadsden Pediatric Clinic, P.A.